Jeannie Yuan was born in Canandaigua, New York. She soon moved to Bakersfield, California where she started the piano at age 3 and later, the violin at age 6. 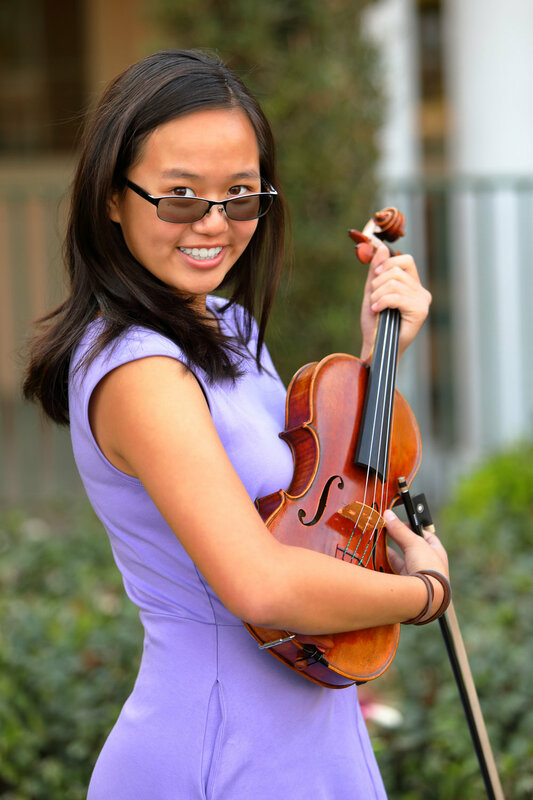 In the third grade, she joined the advanced orchestra at Ronald Reagan Elementary which led to the participation in other school instrumental events, such as Strolling Strings (5 years), Kern County Honor Orchestra (3 years), CMEA Solo Ensemble Festival, and Bakersfield Youth Symphony (2 years). Jeannie is now a freshman in Stockdale High School in the Stockdale’s Symphonic Orchestra program. She not only participates in the music field, but is a part of the Girls’ Junior Varsity Tennis Team and plans to join the school’s swim team in the spring.